BED RUGS — DREAM ON – IS YOUR CLAM IN A JAM? 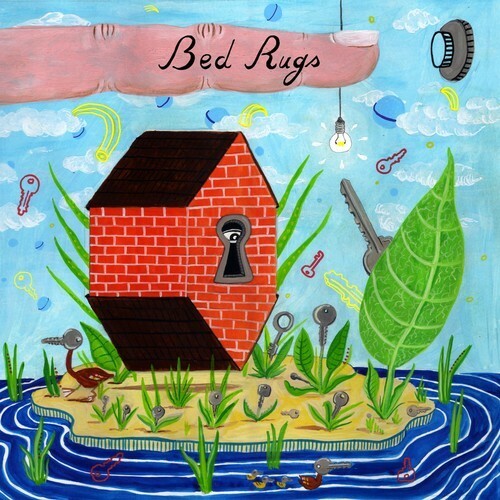 Bed Rugs are a Belgian band that recently discovered their psychedelic inner-visions and switched theirs guitars from heavy thunderclouds into a phased breeze. What could be called a Tame Impalaesque, but should really be a John Lennon Beatlesque sonority is the shore that breeze was created in, while a friendly Zombies melody does the rest. Dream On is the liquid that flows from your brain into your veins at night. You’re in a place where the sun shines at midnight, but it ain’t summer in Norway. You find a beach on the mountaintop, dive down in the water and find a shooting star, you’re lost and nobody knows where you are. The door in the ceiling is letting too much sunshine in, that friendly equestrian messenger says it’ll be daytime soon. Listen to Dream On below and go get their debut album, 8th Cloud out on Ample Play Records here.